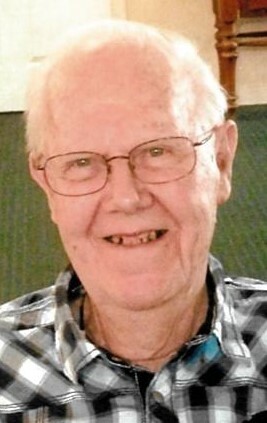 Robert (Bob) Sanford age 94 entered into eternal rest on September 12, 2018. He had spent the past 4 1/2 years residing at Brookdale of Ravenna. There, he was an Ambassador for incoming residents and was involved in most activities. Playing bingo, going on the bus trips to eat at various restaurants, mini-golf, and socializing with everyone kept him busy every day. He was born March 14, 1924 in Charlestown to George and Gladys Sanford. Until moving to Brookdale, he lived very close to the house he was born in his entire life. Graduating from Charlestown High School in 1942, he married his wife Grace in 1946 and they enjoyed 63 years together until her death in 2010. He retired from Rockwell in Newton Falls in 1976. He leaves one daughter, Pam (Dennie) Harner of Paris Twp and the light of his life, grandson Adrian (Nikki) Harnar of Mansfield, TX. He is survived by his brother George (Margaret) Sanford of Ravenna. Calling hours will be from 3 - 7 PM Monday, September 17, 2018 at Shorts Spice Crislip Funeral Home Ravenna Chapel. A private graveside service will be held at Charlestown Cemetery. In lieu of flowers memorials should be made to Brookdale of Ravenna Activity Fund, 141 N. Chestnut Hill Drive, Ravenna, OH 44266. The family would like to thank the loving and caring staff and fellow residents at Brookdale for all they have done over the past 5 years. Also the family is grateful for Dr. Emmanuel Yanelli and Dr. Howars Minott and their staff.